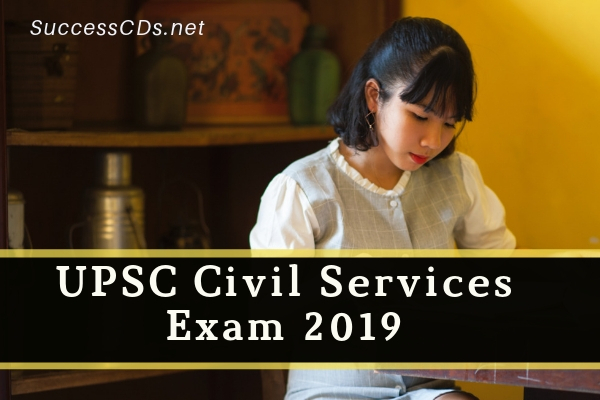 UPSC Civil Services Exam 2019 - The Union Public Service Commission (UPSC) is likely to release the official notification and online application form for the Civil Services Examination 2019 on 19th February 2019. Aspirants can check details on the official website www.upsc.gov.in. Selection procedure of civil services exam 2019 will complete in two stages - Preliminary Exam (MCQ type), Mains Exam (descriptive type) and Personal Interview. Applicants who opt for "Pay by Cash" mode should print the system generated Pay-in-slip during part II registration and deposit the fee at the counter of SBI Branch on the next working day only. "Pay by Cash” mode will be deactivated at 23.59 hours of 18th March 2019 i.e. one day before the closing date. Civil Services (Preliminary) Examination 2019 (Including IFoSE-2019) - Online application form to be available from 19th February 2019 on https://upsconline.nic.in only. Detailed instructions for filling up online applications are available on the above-mentioned website. Brief Instructions for filling up the "Online Application Form" given in Appendix-II.